Hey Readers, Writers, and Followers! 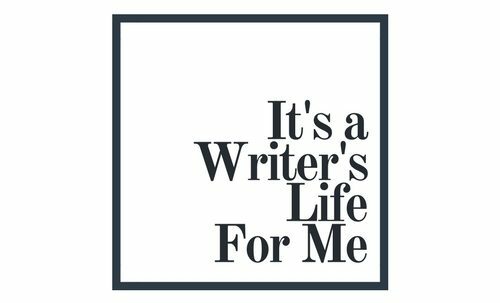 So, I just realized that NaNoWriMo ended four days ago and I never wrote a blog update with my final thoughts on National Novel Writing Month 2018. Oops. Slacker status over here… like usual. But I will proudly say that I was NOT a slacker last month. For the first time since I started participating in NaNoWriMo back in 2014, I WON! And I didn’t just win, I KILLED IT! My final word count was: 75,679 words for Friendzone (my NaNoWriMo Novel). That’s almost as long as A Kiss of Betrayal, which took me two years to write! I am anxiously awaiting the arrival of my first NaNoWriMo Winner Shirt. I will obviously share pics once it arrives. Unfortunately, I did not get to participate in any events other than the Meet & Greet and the Kick-off this year. My health constantly makes it hard to get out and socialize. My back is very particular about chairs and sitting for extended periods of time. Maybe I will get to be more active next year. Of course, I don’t really get much writing done at write-ins because the environment isn’t very conducive for my writing style or creativity, but it is still nice to get out and see people and soak up all those writer vibes. For me, when it comes to writing, I have to be lounging or reclining in a comfy chair or on my bed with either my writing playlists or something on the TV for background noise. If I am not listening to one of my writing playlists, I like to have an old favorite movie or TV Show on. Something that I like but am not going to necessarily get drawn into to the point that it distracts me from writing. Or sometimes I write in the living room while my family is watching football. I actually find football very soothing to have on in the background while I write. Friendzone continues to grow and develop further. These characters have wicked sexual chemistry and such an in-depth history together. Their story continues to unfold itself in ways that have surprised me. I posted on my Facebook last night that I am beginning to think that before I am done writing it is going to be 800 pages long. A friend suggested that I break it out into a series instead. I have toyed with the idea but haven’t made up my mind if I want to do that yet or not. That would mean having to make/buy more than one book cover and honestly those do not come cheap when you aren’t turning a profit with book sales yet. I didn’t focus much on #MeToo: A Collection of True Story Crimes Against Women during the month of November since I knew so many people (including myself) were focused on NaNoWriMo and Thanksgiving of course. But I have started posting and talking about it more again the last few days and have had more women submit their stories. It’s hard reading and receiving all of these stories from women and learning about the things they have gone through, but I know that these stories need to be told and that there are people out there who need to read/hear them. The silence surrounding these crimes is what gives them power. Learn more about my #MeToo project here. Well, it’s getting late and I still have to come up with tomorrow’s Write About It Wednesday prompts, because like I said at the start, I’ve been totally slacking, but not really, I’ve just been focused on Friendzone. If you would like to submit a story or poem to the #MeToo Collection email me at mchillstromauthor@yahoo.com.